American MRE (Meal Ready to Eat) - what's inside? During longer games, it is worth to have a snack, or two. The first reason is, of course, to get more calories and energy for the play, but there is also the second – the morale boost that comes with the warm food and snacks. 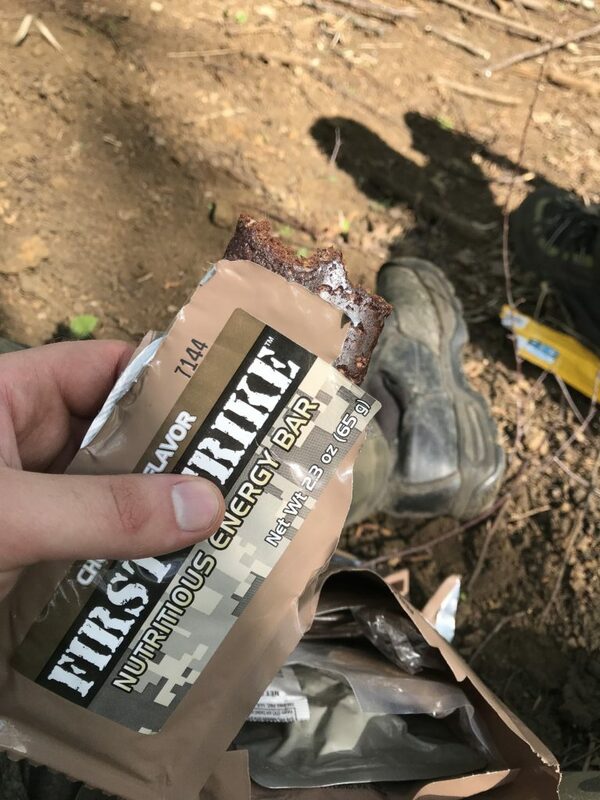 Besides the snacks like beef jerky, chocolate bars, and isotonic drinks, you can also find on the airsoft field people, who eat the military food rations. They’re not really a very economic choice, however give a full, ready to go package and a lot of specific climate that increases the whole immersion of the game. 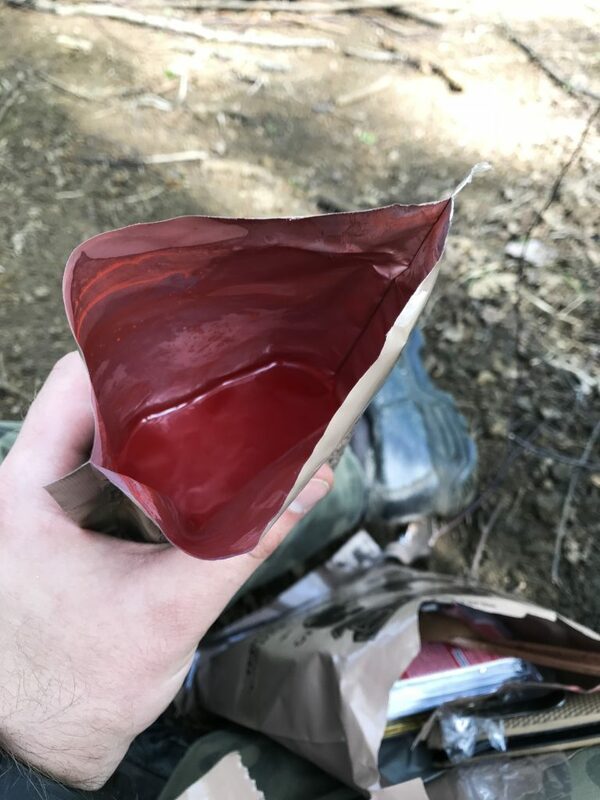 The MRE’s are available mostly on eBay and sometimes in the surplus stores because most of the soldiers sell their rations on the civilian market. Why would they eat packaged food if there is a buffet in the base? So, how the MRE looks like? Everything is sealed in a tough plastic bag, which can be used also as the trash bag later. The package has the black markings with the menu number, expiry date and the name of the main dish. More information about each food ration can be found on the internet. 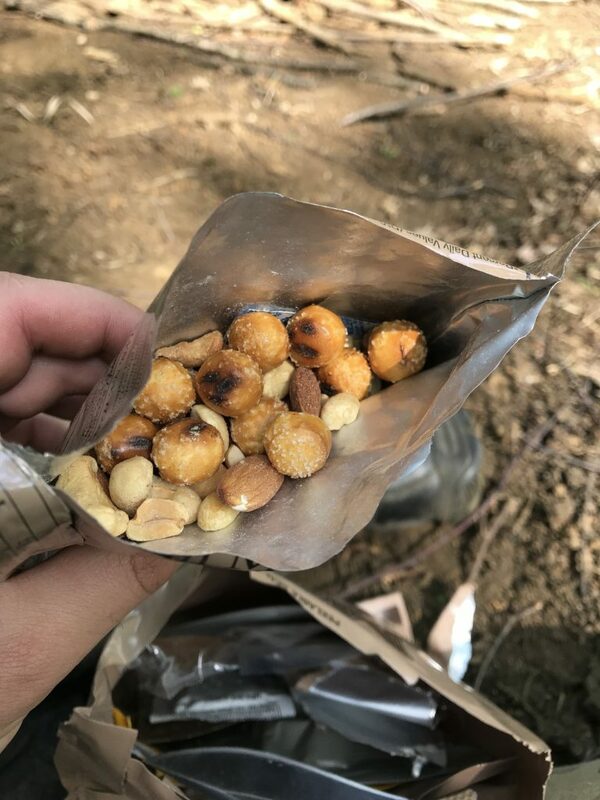 After opening the MRE we find a lot of small sealed packages with different food and snacks. 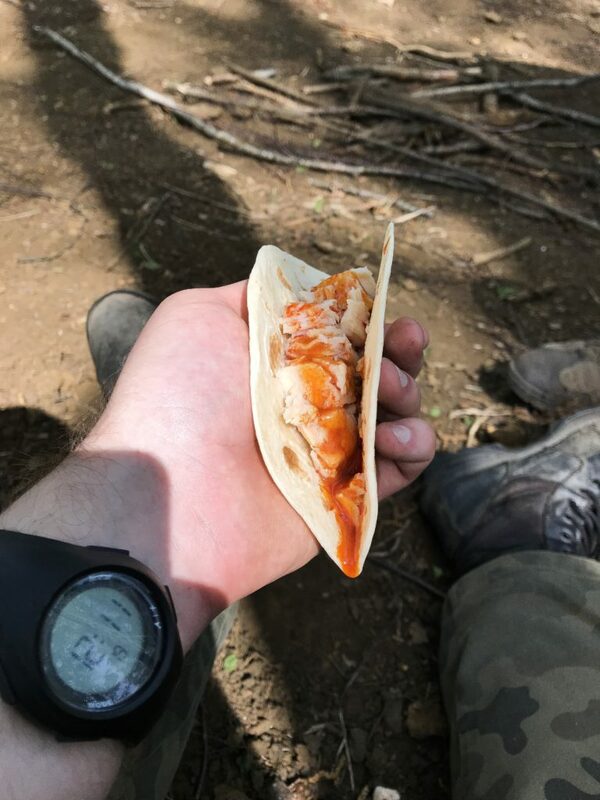 One MRE delivers about 1200 calories. Attention: in menu 5 the main dish is the chicken chunks and its served cold. There is no chemical heater provided with it. In most rations, there is a dish and a heater for it. If you’re wondering about the taste of the MRE, which is often called the Meal Rejected by Ethiopians”, they’re really not that bad. I would even say that most of the dishes are quite tasty! 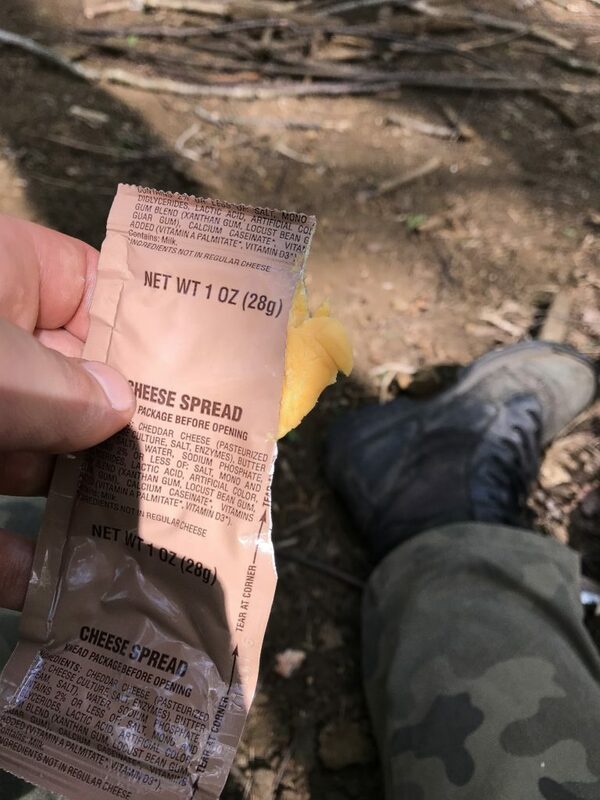 The biggest advantage of the MREs is the packaging, which keeps everything secured and ready to eat at the best moment. The pack is quite small so it can leave more free space for some tactical accessories. The other pro is the fact, that the expiration date is very long (thanks to all chemistry). Also, it is not likely to have gastric problems after the MRE (also thanks to the all chemistry in there). In the future, I’ll also describe you the other rations, like the Polish one, French etc. and the tutorial for preparing your own food ration to the game. Feel free to share your opinion and leave a comment. More useful hints and tips can be found here.